Twelve Twenty-Four. Image courtesy of The Newton Theatre. Newton, NJ – Twelve Twenty-Four will be bringing their amazing high energy, full-scale, holiday rock orchestra concert to The Newton Theatre at 7:00 PM on Sunday, December 13th! 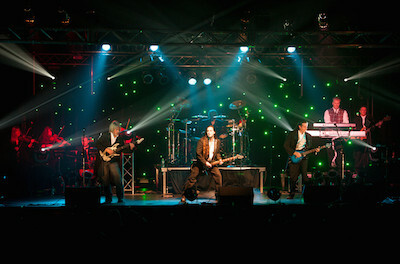 Their performances feature the music of the Trans-Siberian Orchestra, as well as their own holiday creations. Established in 2002, Twelve Twenty-Four performs its Christmas music with a theatrical, rock edge to create a holiday show suitable for fans of all ages. As the nation’s original and longest running recreation of the Trans-Siberian Orchestra, Twelve Twenty-Four continues making a name for itself throughout the Mid-Atlantic Region. This year’s shows will feature songs from their 2012 release, Light in the Dark; their 2010 debut CD, Miracle on Rock Street; as well as everyone’s favorite selections from all five Trans-Siberian Orchestra recordings. Gracing their concert stage this season is an amazing group of professional and talented performers. With a total of fourteen performers, which includes a six-piece rock band, multi-piece string section, and a variety of vocalists, Twelve Twenty-Four brings the magic of Christmas alive at each show. As in the spirit of the season, over the past thirteen years, Twelve Twenty-Four has helped different charity organizations raise tens of thousands of dollars! Tickets for Twelve Twenty Four range from $29.00 to $39.00. Purchase tickets by visiting www.thenewtontheatre.com or contact the Box Office at 973-383-3700. The historic Newton Theatre, located at 234 Spring Street in Newton, NJ, was founded in 1924. 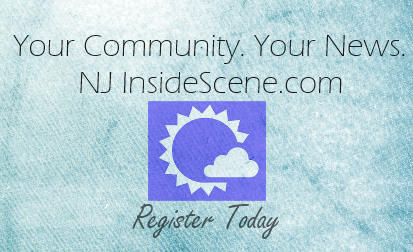 Revitalized and fully renovated, Sussex County’s premier entertainment venue reopened in 2011 as a 605 seat capacity live performing arts center. With it’s rich history and diverse programming The Newton Theatre is essential to the buoyancy of New Jersey’s Skylands region. More information about The Newton Theatre may be found by calling 973-383-3700 or by visiting its website at www.TheNewtonTheatre.com.